Optical Bonding stands for the full-surface gluing of two rigid, optical elements by means of liquid, highly transparent adhesive (Optical Clear Resin) or adhesive film (Optical Clear Adhesive). In our case, TFT modules are bonded with PCap / cover glass fronts. 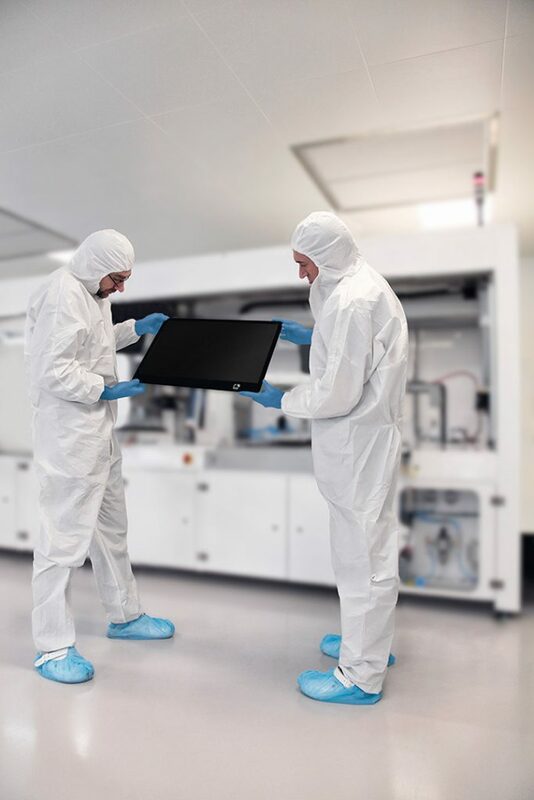 For years, we have been working intensively on the subject of optical bonding for displays and have established processes to be able to offer high-quality display bonding for industrial applications. Depending on the manufacturer, TFT modules have different mechanics as well as material properties. Thus, on the one hand, it is necessary to follow a manufacturing approach that is as “tolerant” as possible. 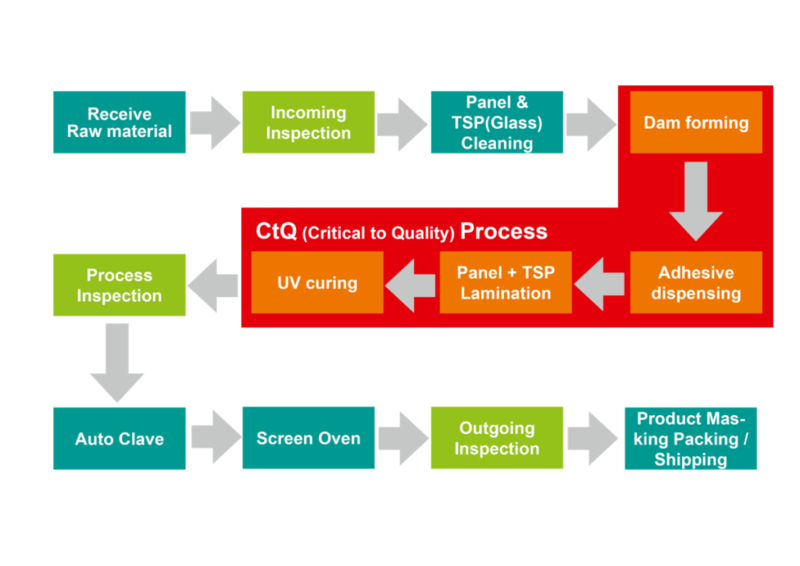 Secondly, it is absolutely necessary to have all upstream and downstream production processes in display bonding in order to achieve the long-term quality demanded in the industrial environment. In addition to the absolute cleanness along the entire bonding value chain, this includes the corresponding pretreatment of the components, including surface activation, as well as special post-treatment after bonding. Finally, the choice of the right adhesive is crucial. 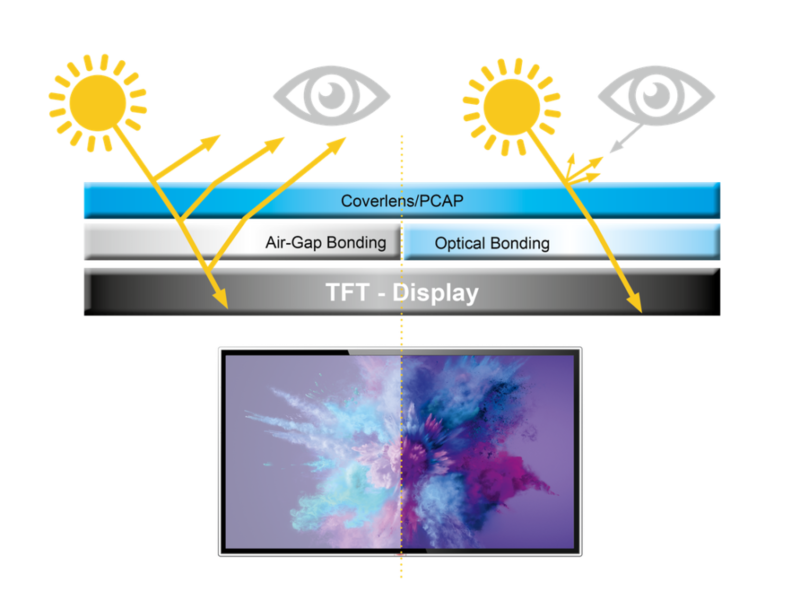 The TFT modules can be bonded in the original state of the manufacturer (over-frame) as well as without bezel (in-frame).